Maker Faire Rome: Call for makers extended until June 15th! We are happy to announce Tsunami by Arachnid Labs has joined the Arduino At Heart Program. 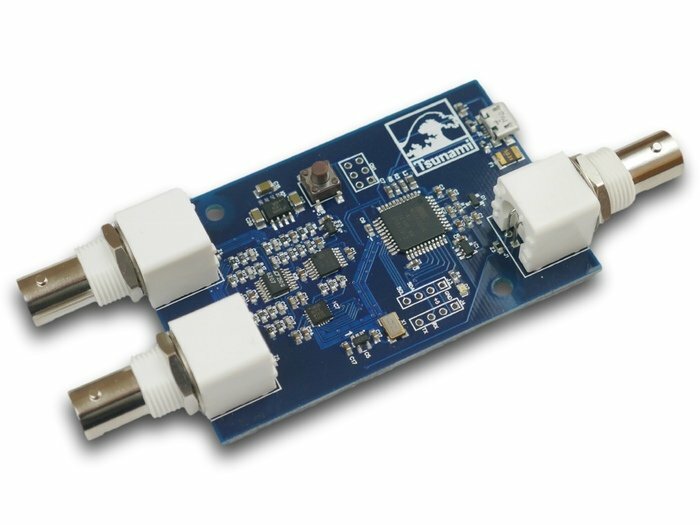 Tsunami is a new powerful and flexible signal generator built on the Arduino platform and the best way to get started experimenting with analog signals. Nick Johnson, its creator, took the versatile processor behind the Arduino Leonardo, and combined it with a Direct Digital Synthesis chip, which makes generating analog signals incredibly straightforward. He also added flexible input and output circuitry, an easy to use software library, to make working with analog signals as easy as blinking an LED. Tsunami lowers the barriers to making music, sending and receiving data, experimenting amateur radio, and creating educational applications. It was launched successfully on KickStarter last April and you are in time to pre-order it on Crowd Supply!